My Home (我的家) is an interesting set of bilingual books written by local authors, Rayne Ngoi and Cheng Pei Yee, and illustrated by Wang Lu Bo. 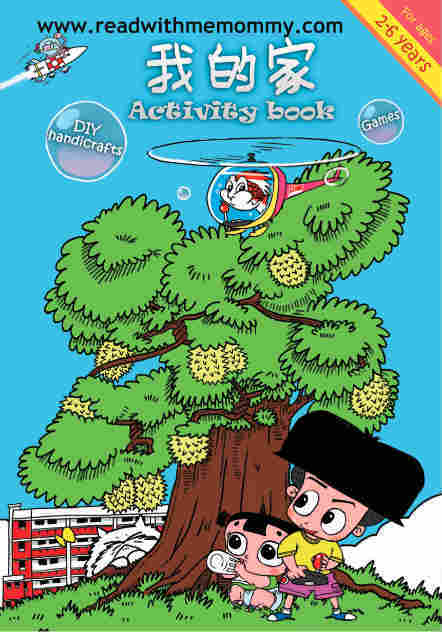 It comes in a set of 2 books - a picture book and an accompanying activity book. The unique feature of My Home is that it is written in Singapore content. Jason wants somebody to play with him but everyone he asks is just too busy! What will he do? 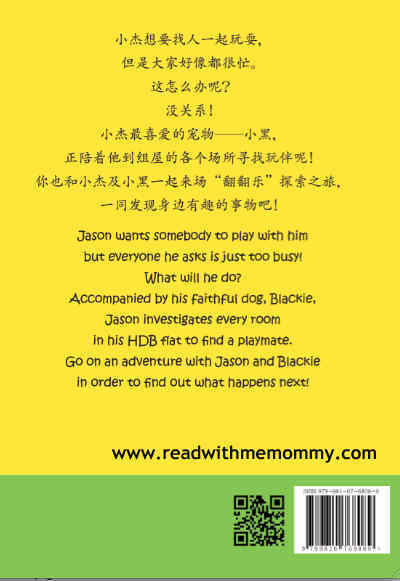 Accompanied by his faithful dog, Blackie, Jason investigates every room in his HDB flat to find a playmate. Go on an adventure with Jason and Blackie in order to find out what happens next! As he goes through each room, your child will find many items and places that they can associate with in their daily lives. This 40 page beautifully illustrated picture book also contains many little flaps which can be lifted as you read to your child. 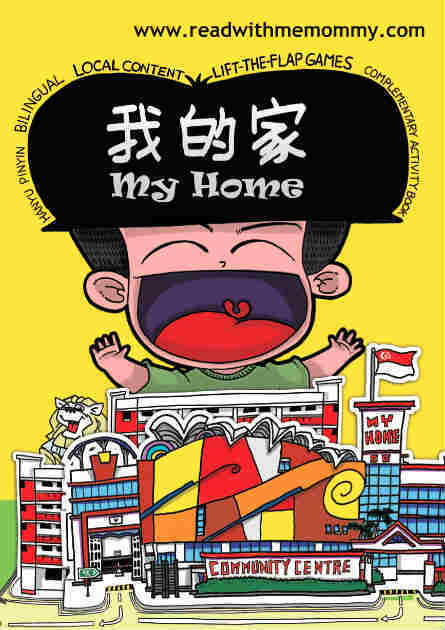 This bilingual activity book complements the picture book "My Home", and is written to cater to the learning of 2 to 6 years old kids. 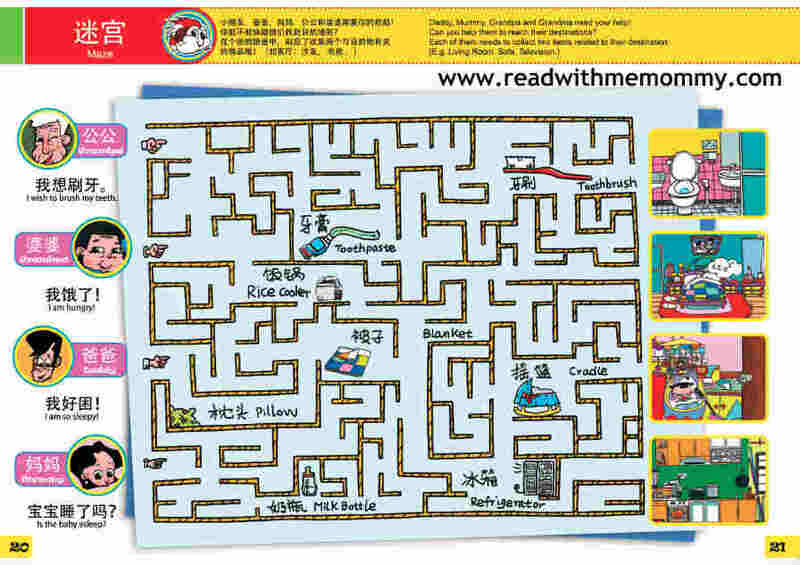 It contains vocabulary practices, hanyu pinyin learning aids, picture cards, interactive games, DIY handicraft, stickers and more, to make the process of learning a fun and enjoyable one for your child. 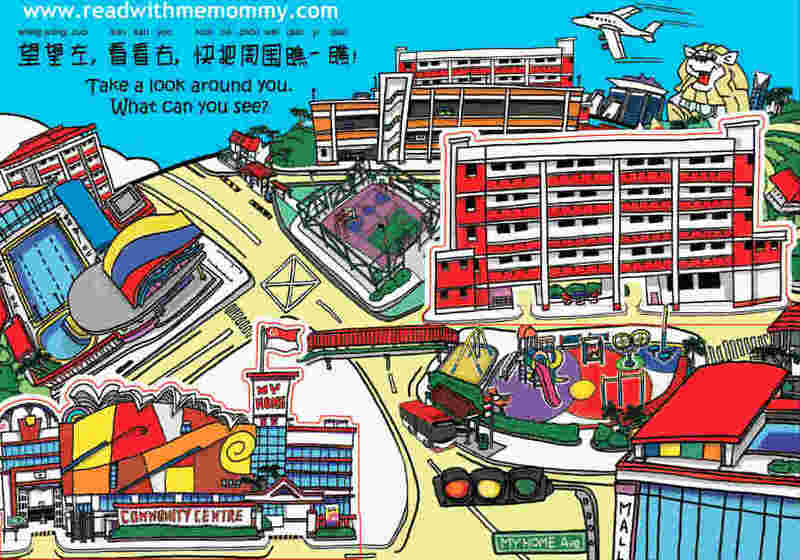 The local content of this book will help your child to say and write the names of items and places found in a typical home and HDB neighbourhood in Singapore. Read about parent's review here!